Accomplishments with GLASA: Sam started as a new track and field athlete at GLASA’s 2014 Great Lakes Regional Games. He quickly learned that he could be competitive athlete in these sports. 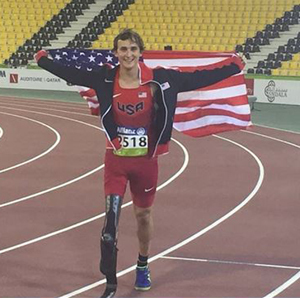 After barely two years of training and competition on Team GLASA, Sam found himself being invited to compete on Team USA winning the Gold medal in High Jump at the 2015 IPC Athletics World Championships in Doha, Qatar! Sam is a Paralympic hopeful for Rio 2016! Accomplishments with GLASA: Josh has been participating in programs with GLASA since he was 8 years old including snow skiing, golf, and sled hockey. Recently he joined the wheelchair basketball and track teams. Josh realized these two sports gave him complete independence and the opportunity to compete at a competitive level. He even qualified for the National Junior Disability Championships this year at his first ever track meet in the pouring rain! Josh continues to play sled hockey, basketball, and track throughout the year. 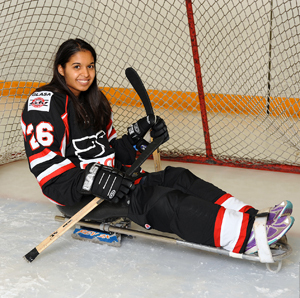 Accomplishments with GLASA: Dana started sled hockey late last season. After only practicing for three months, she played goalie to help her team win their division at Sled Hockey Nationals! Dana has also excelled in other sports, competing on Team GLASA at the National Junior Disability Championships in track, field, and swimming and also completing multiple half and full marathons. Dana is currently practicing Sled Hockey getting ready for nationals again in April! Accomplishments with GLASA: Chance is all about trying new things and staying on the move. 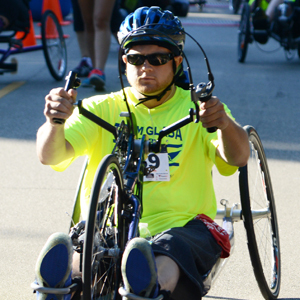 He has participated in GLASA’s 5K Run Walk Roll for the past two years on a handcycle, he was on the adult sled hockey team when they took 2nd place at Nationals, and he continues to participate in GLASA’s programs to keep him active. Accomplishments with GLASA: Pete has been attending GLASA clinics with the Milwaukee VA for over five years. 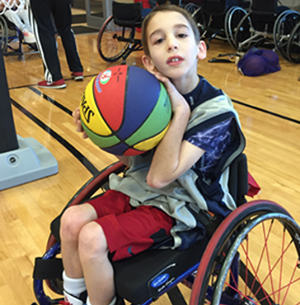 He has grown to love movement and activity through adaptive sports. 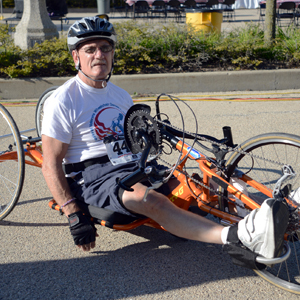 Not only does he participate in monthly sport clinics like sled hockey and golf, but he also participates in special events and competitions such as the National Veterans Wheelchair Games, GLASA’s Adult National Open & Great Lakes Regional Games, GLASA’s Twilight 5K Run, Walk Roll, and many more. Pete plans to continue his participation with GLASA for years to come! Accomplishments with GLASA: Dan was traveling from Madison, WI three to four times a week to participate in multiple sports with GLASA. He continues to participate through programs implemented by GLASA at the Milwaukee VA, such as track, sled hockey, golf, and more. 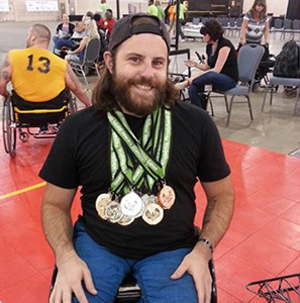 Dan recently won multiple medals at the National Veterans Wheelchair Games which are held in a different city across the country each year. Dan has also represented GLASA on the Charity Marathon team for the Bank of America Chicago Marathon. 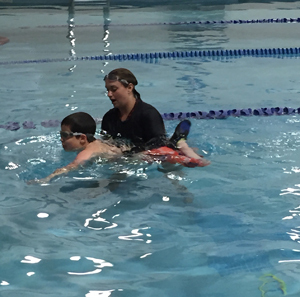 Accomplishments with GLASA: Mikey has only been with GLASA’s swim program for two short sessions. After being away from swim all summer, Mikey swam the entire length of the pool by himself for the first time. He continues to be a more independent swimmer each week. 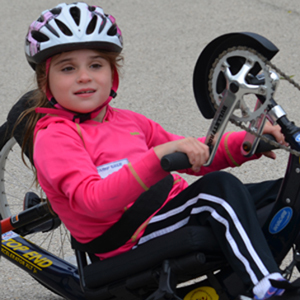 Accomplishments with GLASA: Isabella is one of GLASA’s most active participants at our annual Camp Trek. She brings her own fishing pole, tried a track chair for the first time, and picked up tennis, among many other activities. In addition to participating in this summer camp, Isabella started attending weekly tennis practice where she quickly learned the game and continues to develop her skills.